I was thrilled recently when I discovered Essay Hell. 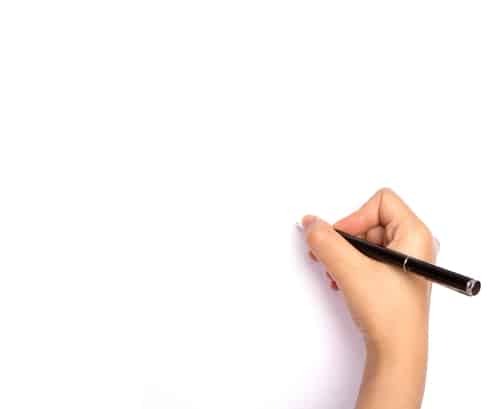 I believe any teenager, who will have to tackle a college essay, should visit this EXCELLENT website for valuable tips on how to write a killer college essay. Janine Robinson, who is a former newspaper reporter and an essay coach, has stuffed her website with advice on how to write a great college essay. 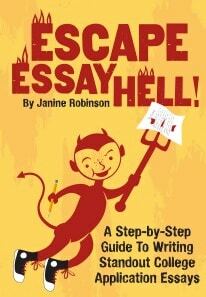 Robinson has also written an incredibly helpful ebook, Escape Essay Hell. 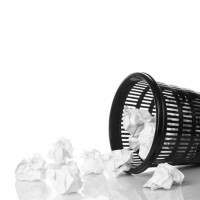 Today I am sharing one of Janine’s posts that focuses on the new controversial prompts from the Common Application, which hundreds of schools use. In Janine’s following post, students will learn how to answer any of the new Common App prompts. If you are working on your Common Application, you know you have five prompts (or essay questions) to choose from for your essay. The challenge is to pick the prompt that you can answer and write your best essay. In previous years, you had the option to write about anything you wanted, called “Topic of Choice,” or number 6. But that’s no longer an option. But this decision is like walking a tightrope. It’s possible, but challenging, and above all, you must try hard not to fall off. If you push your answer so far out there, and it no longer appears to actually “answer” or address the prompt, that’s not a good thing. It’s not that they don’t want to be fair, but there are so many applicants and essays to read, and everyone looks so equally attractive these days. They only need one reason to make their pile smaller. So make sure not to give them one! It’s a hard call. In order to standout from the crowd, you need to take some risks with your essay’s message, style or voice. At the same time, you need to stay within the parameters of the prompts or you will be weeded out. 1. Spend enough time brainstorming ideas for each of the five prompts before you decide upon one. If you can find the right prompt, which inspires you and you find a great topic to write about, then you are already closer to writing a standout essay that doesn’t cross the line. 2. 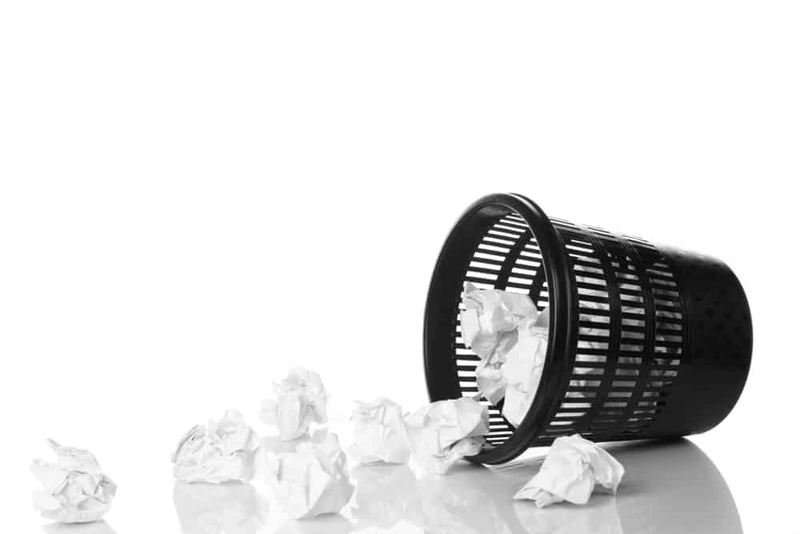 Once you pick a prompt, try to find a creative way to respond to it. Don’t just answer it directly, but use it as a springboard to develop other related ideas and express other ideas and opinions. Put your own spin on it. This is how you expand your essay beyond the narrow margins of the prompt, and show how you are a creative, original, imaginative and resourceful thinker and writer. This is how you standout. But if you push it too far, you risk sounding as though you have ignored them. My suggestion is that no matter how far out you take your story, ideas or opinions, link them back to the prompt by using some of the prompt’s words or language. This will flag the reader that you are still addressing the prompt, even if you have taken your essay in an inspired direction. You could even have them read your essay and then see if they can pick which prompt you wrote about. If they don’t think it’s evident, and you agree with them, try to work in some language that links it to the prompt. I think the essay is an opportunity for kids to explain how they would be a good fit for the school personally. A student can excell academically but not in other criteria a college finds important. A grade cannot show passion but an essay can. I think this is especially true in the Common App with colleges’ more directed supplemental essay questions. If a certain school values and investment in service in the community, an essay is a great way to being that out. However, I also understand the other side. I. Am hating having to present myself in 250-650 words, but I would rather have some personal statement than just be a table of numbers. I’m positive this peer’s father will write her essays and fill out her applications. I know for a fact that a peer of my daughters who will be a senior has her father doing all the college prep work. He even attended an information meeting put on by our school, which I was there, parents and teens were invited, but he sat there with his lap top writing down all the information for her. It’s clear in her behavior in other areas of school that she has been kept an emotional cripple and cannot adapt to changing school expectancies day to day. she constantly runs to one teacher in particular and plays the drama card and that “her father died when she was 8”. she and her younger brother have been raised by her grand parents as their own. Unfortunately, others treat her “special”, as if no one else has lost a parent, or lives in unique circumstances, or has had to over come circumstances much more significant than this. I for one cannot understand the emphasis on these essays! Do these admissions people really think they can “know” your child after reading a 500 word essay? And how do they know that what is written in the essay is true, or that the kid even wrote it himself? I cringe at the thought that one student is chosen over another equally or more qualified applicant simply because he can write a “witty” essay and the other can’t, especially if the intended major is a technical one where clever writing is not required to succeed. So far none of the colleges my daughter is looking at require an essay, though some scholarships do. But my real question, in all seriousness, is “what do they possibly hope to learn about a student from those questions that could make a measureable difference?” By that I mean what do those essay questions measure? Doesn’t seem to be just a grammar test. Let’s take the first one, background story. Billy Jo’s mom had cancer. Beatty Jo’s mom worked a double shift to put her through school. Bobby Jo was just a regular, everyday suburban girl next door. How can anyone possibly say any one of those stories is “better” than the other as a admission decision? Just seems to be much like those pointless interview questions that even Google has admitted are completely useless as a predictor.